The ABY pedal allows you to switch one input to two outputs, or both at the same time. 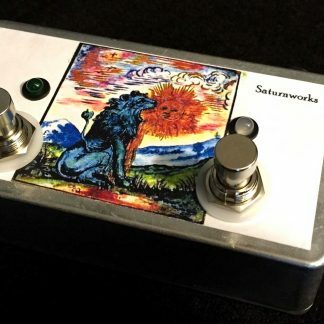 The Saturnworks ABY pedal takes a single input and switches it A/B style to one of two outputs (A or B), or, with a second switch, to both at the same time (Y). The active version features a built-in dual buffer to prevent signal loss in split (Y) mode. Each output has its own separate buffer, which keeps your tone clear and isolates the outputs against crosstalk. This means that you won’t experience tone loss in Y mode and the level of one side won’t affect the other. The dual buffers also prevent high-end signal loss over long cable runs. The ABY black version features upgraded soft click switches, a powder-coated black enclosure, and Switchcraft jacks. The signals coming from the active ABY are in phase with one another. However, inserting devices between the ABY pedal and your amp can alter the phase. The versions with phase inversion toggles feature active phase inverting circuits to help with potential out-of-phase issues. Since an ABY pedal splits your signal, it is best to use the passive ABY after a buffer to prevent tone or level loss. The passive ABY (not the active ABY) can be used in reverse to sum (combine) two signals into one. A durable 4.5” x 2.5”x 1” cast aluminum enclosure. 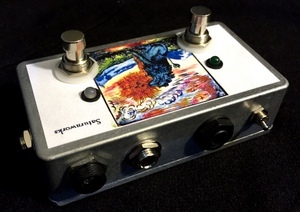 Heavy duty Neutrik brand jacks, or Switchcraft for black pedals. An isolated jack and ground lift switch on one of the outputs, to help with ground hum issues. The active ABY runs on standard 9v DC center-negative power. The passive ABY does not need power to work, only to make the LEDs light up. 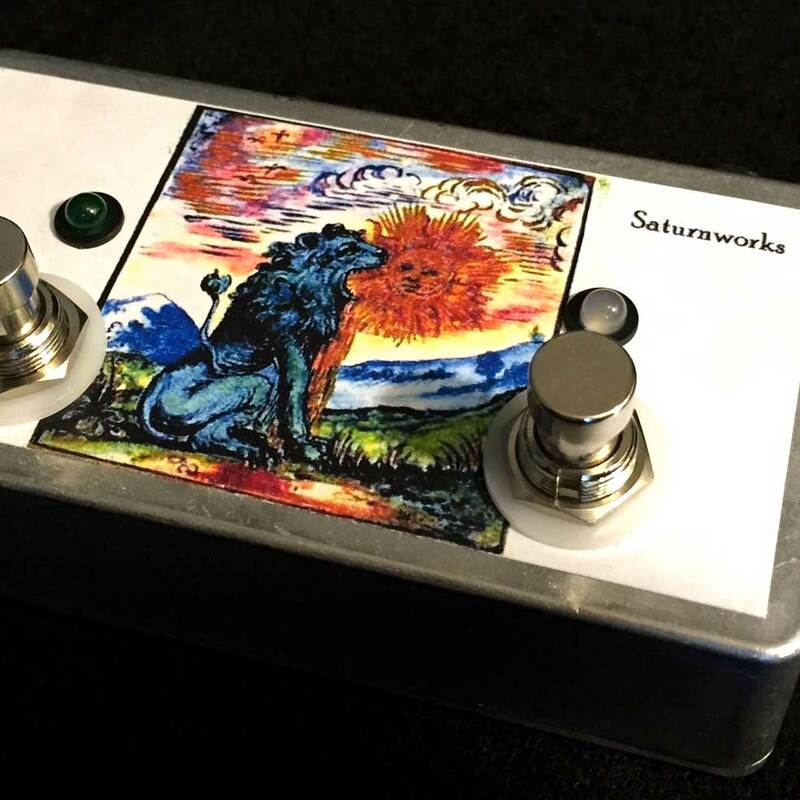 Because we know you want your pedal to reflect you, Saturnworks offers a variety of premium upgrades. Customizations and upgrades include powder-coated enclosures, upgraded jacks, upgraded switches (including our incredible soft click latching switches), and custom graphics. Check out our graphics and customizations page for more information. Ordered one a while ago and have been very pleased with the results. While on the road I’ve used it to run two full stack bass rigs with no issues. Able to control both levels individually without losing any quality or having cross talk over the channels. Road tested and approved. Built sturdy, compact, and no batteries! Worth every penny. Quick delivery. Great product! Couldn’t find a simple active aby for bass at all, let alone one at this price. Does exactly what it should and looks good doing it. Thanks to Saturnworks and to TalkBass for cluing me in. I ordered a buffered ABY switch on a Tuesday, and wanted it in time for a Saturday gig. Brian worked with me to get it express mailed and it arrived Saturday am… Worked as expected and allowed selection of 2 amps. The design is compact and I had no noticeable noise or interference. This was about half the price of other buffered ABY switches.